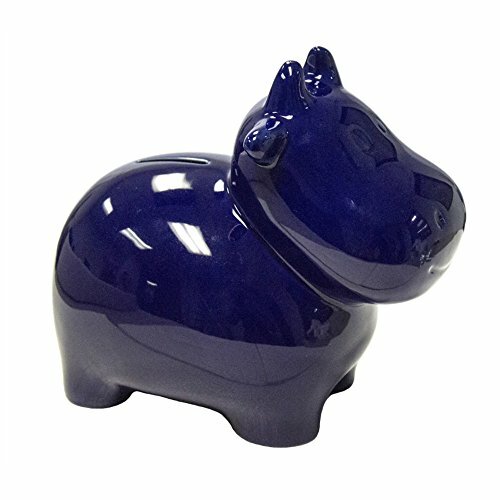 A fun way to teach your little one the value of Saving, this precious keepsake cow coin bank is the gift that will keep on giving. Perfect style for any decor. Appropriate for the nursery, bedroom, office or kitchen.Ideal for last minute shopping or sending your love across the miles. Made of ceramic with blue glossy finish.